Digital Jelly is one of the leading wide and large format printing companies in Johannesburg. We only use the latest digital print technology to ensure that your print job is done correctly the first time every time. We offer bright & bold image reproduction on a range of large format materials that include the following: Vinyl, PVC, Magnetic Media, Canvas, Matt Paper and Gloss Paper. Large format printing is the digital printing of large images on a roll of material so as to create bright eye-catching advertisements or branding products. 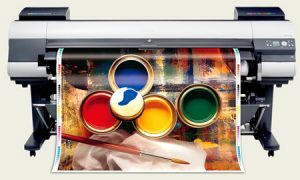 The general printing width of large format prints ranges anywhere between 600 mm to 11 meters. Large format printing is extremely popular in Cape Town and indeed South Africa, thanks to the fact that it is extremely affordable when you consider the number of customers that can be reached using a single print run. This is because the larger than life bright and vibrant images that are created using Asset Prints large format digital printers will always leave a lasting impression on passer-by’s no matter where in the city you might place them. Although we are situated in the Johannesburg, we are able to print and deliver large format print orders anywhere in South Africa. Please feel free to contact us regarding a large format printing quote. Contact Us Today for a quote on Large Format Printing Services!